District Judge Denise Cote unsealed the search warrant for the laptop and other devices of former Congressman Anthony Weiner on Wednesday, May 16. Weiner was sentenced by Cote in September to 21 months in prison for sending obscene material—including sexually explicit images and directions to engage in sexual conduct—to a 15-year-old girl through messaging and video chat apps. Law enforcement obtained a search warrant on his laptop, iPad, and iPhone on Sept. 26, 2016, approved by Magistrate Judge Ronald Ellis. The laptop soon became the center of a major controversy. However, the search warrant suggests the controversy may run deeper still. On Nov. 4, 2016, former Navy SEAL and CIA contractor Erik Prince said “a very well-placed source” at the NYPD told him the NYPD found “damning criminal information” about then-presidential candidate Hillary Clinton on Weiner’s laptop and threatened to release it if the FBI tried to sweep it under the rug. The FBI New York field office obtained Weiner’s devices on Sept. 26, 2016, as was later revealed in a report by the Justice Department’s Inspector General (IG). The NYPD Special Victims squad was looking into Weiner’s case too, The New York Post reported. The NYPD cooperates with the FBI field office. The warrant authorized “law enforcement personnel” to review data found on the devices. Agents at the FBI headquarters in Washington later obtained their own search warrant and looked at the laptop in connection with its investigation into Clinton’s mishandling of classified information as State Secretary. But there was a notable difference between the Washington warrant and the New York one. That would suggest the New York agents could look at everything, while the Washington investigators worded its warrant in a way that restricted them to look only at data regarding the mishandling of classified information. 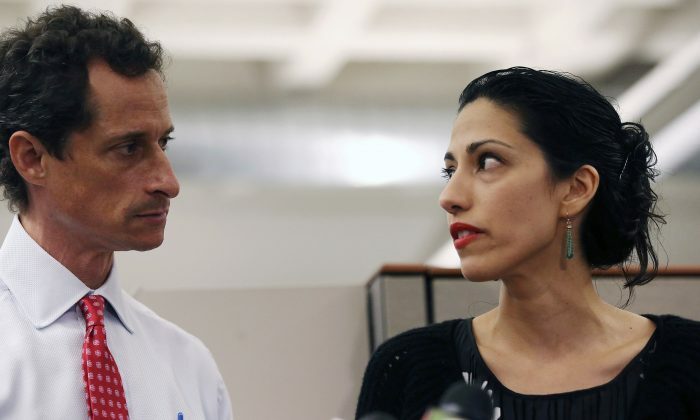 Weiner shared the laptop with his estranged wife, Huma Abedin, a close aide to Hillary Clinton since 2000. Hundreds of thousands of emails were stored on the laptop, including thousands from Clinton. The existence of the emails was also confirmed in texts between senior FBI attorney Lisa Page and former head of counterintelligence at the FBI, Peter Strzok. The text suggests that then-FBI Deputy Director Andrew McCabe, referred to as Andy, knew of the emails. Strzok noted that a team would go to “review” the next day, Sept. 29, 2016. The text suggests McCabe knew about the emails on Sept. 28 because Weiner’s attorney himself delivered the emails to the U.S. Attorney’s Office for the Southern District of New York. It’s not clear why or when Weiner’s attorney supposedly delivered the emails. The New York Post reported on Sept. 22 that the US Attorney Preet Bharara’s office issued a subpoena for the devices. 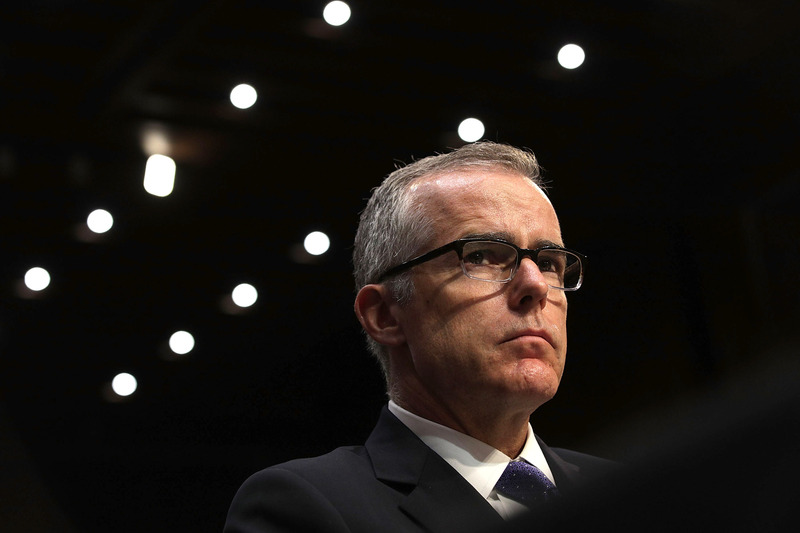 It was McCabe who led a small group at FBI headquarters on the Clinton investigation. Both Strzok and Page were in that group. 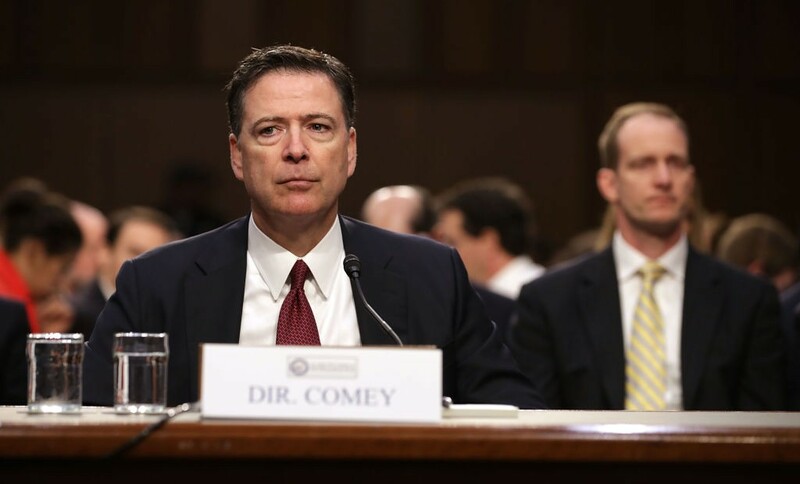 Comey announced the conclusion of the investigation on July 5, 2016. The Hill reported on Nov. 6 that Strzok changed key language in that conclusion from “grossly negligent,” which would have been a crime, to “extremely careless.” Changing the phrase may have exonerated Clinton. The Weiner laptop turned out to have a trove of Clinton’s emails containing classified information and emails from the first three months of her term as State Secretary—emails that the FBI had not obtained before, Comey said. But, Comey said it took until Oct. 27, 2016, for their small team to come to him and tell him about the significance of the emails. The group was only looking at the emails’ metadata—such as subject, sent date, and addressee—according to Comey, and asked him whether they should get a search warrant to look at the emails themselves, which Comey approved. Comey told Fox News’ Bret Baier he didn’t know why it took a month for McCabe to come to him, especially given the significance of the discovery only a few weeks before the presidential election. “I think what actually drove it was the prosecutors in New York who were working the criminal case against Weiner called down to headquarters and said, ‘Are we getting a search warrant or not for this?’ That caused, I’m sorry, Justice Department Headquarters, to then call across the street to the FBI and poke the organization; and they start to move much more quickly. I don’t know why there was, if there was slow activity, why it was slow for those first couple of weeks,” Comey said on April 26. Indeed, at least one high-ranking Justice Department official prodded the team about the Weiner trove. 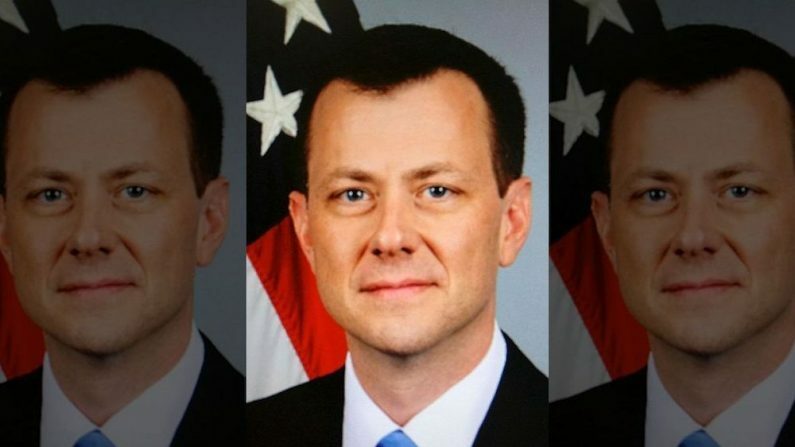 Strzok was referring to George Toscas, deputy assistant attorney general at the Justice Department’s National Security Division. “George wanted to ensure info got to Andy,” Strzok wrote. It was also Toscas, who, according to The New York Times, criticized Comey for caving to Attorney General Loretta Lynch in calling the Clinton probe a “matter” instead of an investigation back in 2015. “I guess you’re the Federal Bureau of Matters now,” Toscas said. But it was not clear why the New York prosecutors would call Justice Headquarters about a search warrant. They’d had a search warrant for their investigation since Sept. 26. There’s no sign they had anything to do with the Clinton investigation because that was run by the team at the FBI headquarters. It is also not clear whether Toscas’ call was motivated by the NYPD threat of disclosure Prince talked about. Prince said the NYPD received strong pushback from Obama’s Justice Department—a threat to push charges against the NYPD in an unrelated civil rights case (the death of Eric Garner caused by use of force during an NYPD arrest). The IG learned from McCabe that the head of the New York field office was chastised by then-Attorney General Loretta Lynch on Oct. 26, 2016. Lynch “ripped” the filed office for leaks regarding the Garner case, possibly related to the leaks cited as a source of an Oct. 24, 2016, New York Times story. Meanwhile, the Strzok texts reveal the team had another contingency on its hands. On Oct. 24, 2016, The Wall Street Journal reported that after the Clinton probe started in July 2015, McCabe’s wife, Jill, received some $675,000 for her Virginia State Senate campaign from Clinton associate Gov. Terry McCauliffe’s political entities. On Jan. 29, 2016, Comey appointed McCabe deputy director, putting him in charge of the Clinton investigation. On the day Comey was briefed by the team on Oct. 27, 2016, his chief of staff, Jim Rybicki, wanted McCabe to recuse himself, the Strzok texts suggest, apparently because the public learned McCabe’s wife was getting money from the Clinton camp. The texts also suggest Page, who was McCabe’s legal counsel, was to recuse herself too, which she apparently wasn’t thrilled about. “I obviously don’t have to tell you how completely INFURIATED I am with Jim [Rybicki] right now,” she texted. Later that day she added, “I Just walked in on Jim to force the issue. Me: ‘I’m not recused, but I’m not sitting in on this meeting.’” It’s not clear which meeting she was referring to. On Oct. 28, 2016, Comey sent a letter to Congress members sitting on oversight committees informing them the Clinton investigation had resumed. The information quickly reached the media, infuriating Democrats. The team obtained a search warrant for the laptop on Oct. 30, 2016, allowing them to retrieve it from the New York field office. The lack of intent in being “extremely careless” with classified information was Comey’s justification for not charging Clinton back in July, 2016. On Nov. 6, 2016, Comey sent another letter to Congress saying all the newly discovered Clinton emails had been reviewed and the previous decision stood—no charges. Correction: The article was updated with information from the June 14, 2018, report by the Justice Department’s Inspector General to reflect that the Sept. 26, 2016, search warrant was executed by the FBI New York field office. Update: The article was updated with information from the June 14, 2018, report by the Justice Department’s Inspector General regarding Attorney General Loretta Lynch’s reprimanding the FBI New York field office for leaks about the Eric Garner case. 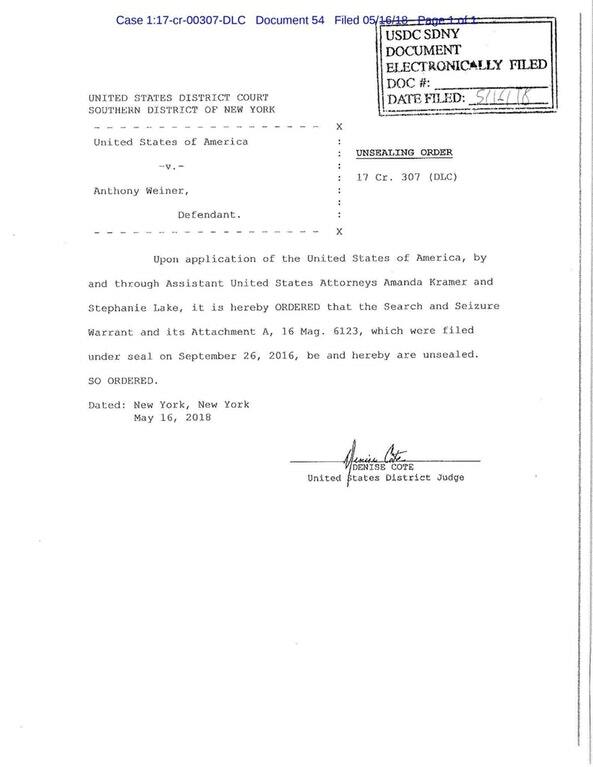 The article was updated with information from two Sept. 22, 2016, New York Post reports regarding the NYPD’s looking into the Anthony Weiner case and the U.S. Attorney’s Office for the Southern District of New York’s issuing a subpoena for Weiner’s devices. The article was updated with information from the Sept. 26, 2016, search warrant regarding who was authorized to review data on Weiner’s devices.